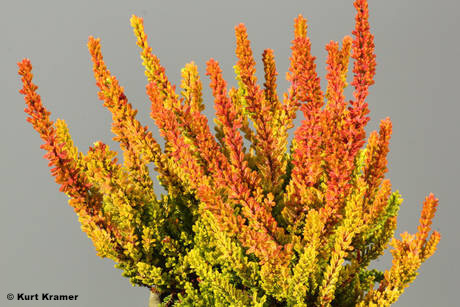 Does not produce flowers; Mature foliage orange to red; young foliage yellow to orange; habit upright; height 30cm; spread 25cm, after 3 years, pruned. Deliberately raised; cross made in Autumn 2007; selected Autumn 2008, by Kurt Kramer. ® C.2015:05. Registered by Kurt Kramer (Edewecht, Germany).